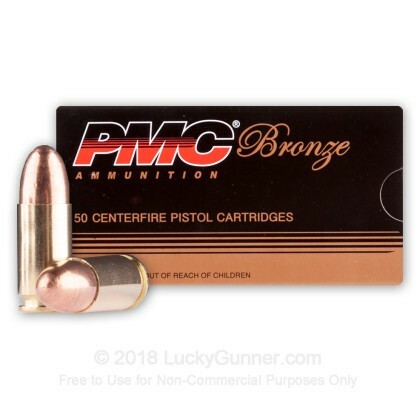 This PMC 9mm ammo is dependable shot after shot making it great for target practice and range training! My Kimber 1911 ate it up, no issues. Burned clean, manageable recoil. I will buy again from Lucky Gunner. My SR9 can be finicky with target ammo (ejection failures), but runs flawlessly on these PMC 124 grain loads for some reason. 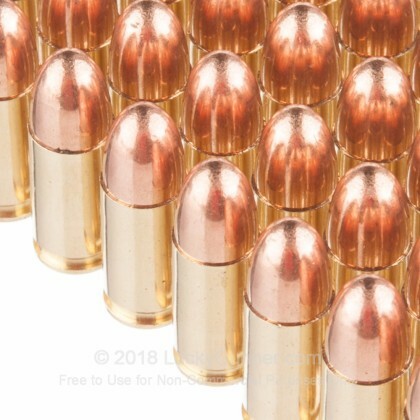 Great quality 9 mm ammo. Very pleased with these rounds and will order a larger quantity next time. As always, you provide what you advertise! 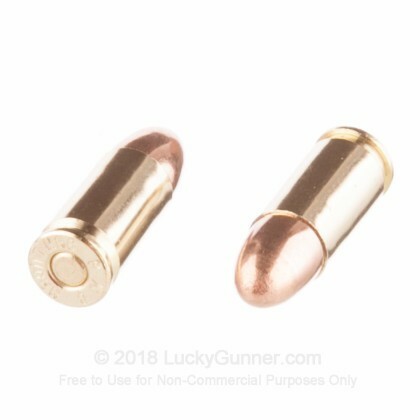 I have a pistol that can be finicky at times with cheap 115 gr target ammo. PMC's 124 gr always shoots great in this gun and burns cleaner than most. 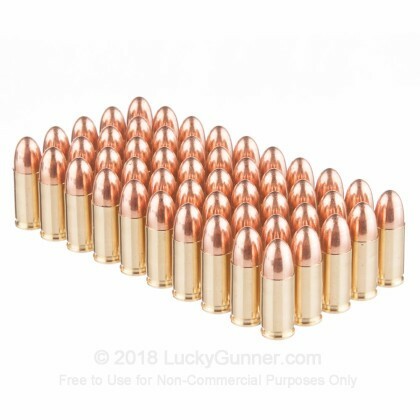 Good ammo at a decent price. As I stated above, PMC has proven to me that it is extremely reliable. Bought an LC9 about three months ago and PMC is probably what I have shot mostly to date. I haven't had one hiccup after having gone through 700 rounds or so. The PMC 380 rounds works great as well in my LCP . I just LOVE my LCP!!!! Thanks Lucky Gunner for the great service!! I bought a kimber solo early on and this gun is real particular on ammo. 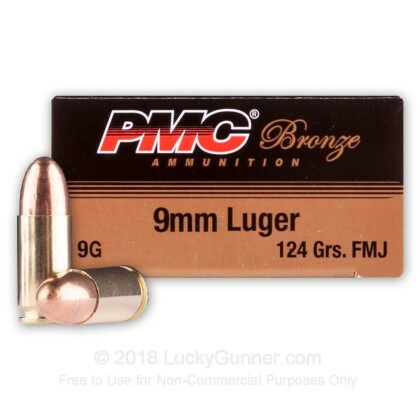 This is the cheapest ammo that I have found that works. No FTF or FTE or FTC. Nice to not have to shoot 147 grain or expensive stuff. Delivery was quick. Ammo was very clean. Put 300 rounds through my Springfield XD subcompact and not one problem. Cleaning showed very little residue so was clean firing. Put another 300 through sig P226 and again no problems. Well, all I can say is the shipping is great, they have nothing but the best quality ammo arrives quick, and their prices can't be beat. In closing I'd just like to thank the lucky gunner team for their tireless efforts and outstanding company so to all looking for ammo. LUCKY GUNNER IS THE ONLY PLACE TO SHOP!!! This ammo has always worked flawlessly. I was amazed by the speed with which my order was processed and the product was delivered. If you're shopping around, you've found your source at Lucky Gunner. Some of my 9mm are picky, so finding 9mm where I live is next to impossible. Yet alone finding it in 124 gn. 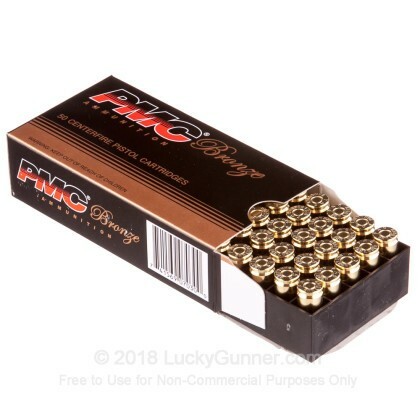 We also have this 9mm - 124 Grain FMJ - PMC - 1000 Rounds ammo in stock in a bigger quantity.